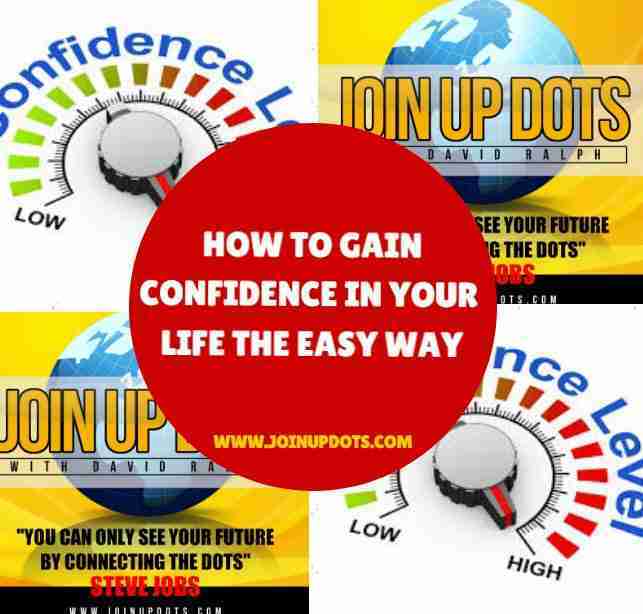 How Do We Gain Confidence In Our Lives? Todays episode of Join Up Dots is a solo show, where David Ralph answers a series of questions posed by the lovely listeners of Join Up Dots. Most of the questions in their own way are linked to the issue of confidence: Lack of it, or too much of it, and how it can affect our lives in a positive and negative manner. So lets start with the first question that 100% is based around lack of confidence. Dear David, I have been listening to your show since the early episodes and you seemed so confident from the start, i would love to ask you a question. I am someone who lacks confidence in myself, and so subsequently I hold myself back from opportunities that could really make a difference in my life. Even if they are ones that I would dearly love. Do you think that people are naturally confident, or do you think that its just a case of working on it. If you would allow me a second personal question, what would be the times in your life that you lack confidence, as you sound like you could never feel like I do. And now for the second question……..
Hi David, thank you for Join Up Dots and everything you do. I listen to almost all your shows and love the way that you are so engaging. I live in Western Australia and have several times been close to starting a business. The first one was a laundry business for busy folk. I would pick up their laundry and then return it washed, ironed and ready to hangup. The second business, was to be a groundworking business, landscaping gardens, planting, and generally maintenance. My issue is, as soon as I get anything close to a negative comment from anyone my interest in that business disappears. I’m not sure why I am so bothered by what people think, but I guess I am. Do you have negative comments thrown your way through your show, and how do you deal with them? Thank you so much Brian Siennet, Port Hedland, Western Australia. Hello David and the Join Up Dots team. I have since listening to yourself started my own business WHOO HOO and im loving every moment of it. I agree with what you say, a business is finding your customers, discovering what they want and then offering it to them. However, I am using all the social media platforms and I am struggling to get any of those customers you talk about. I would love any advice that you can offer to help me to build profits into your life Nicola, Albany, New York. Of course if you are interested in the answers that we give you have to listen to the show…..